The Construction Industry is Booming. Can Your Team Keep Up? Academy is an integrated, learning tool that educates users on infrastructure construction management best practices. Academy’s suite of courses allows organizations to design their own fully customizable training program for new and seasoned employees, ensuring the job gets done right. Build your own skilled workforce with Pavement Academy. 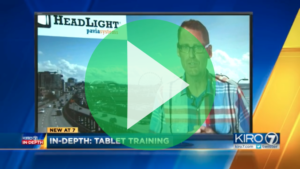 Watch this brief news broadcast to see how Pavement Academy solved workforce training challenges for one of our clients! To learn more about Pavement Academy and how this advanced electronic training solution can help train your workforce, contact our team today.